The patients of Akron Children’s craniofacial clinic – and their families – were delighted to freely touch an English angora rabbit, a Peruvian guinea pig and a turtle provided by the organization Our Zoo to You. With the assistance of an animal handler, they also got to pet a lemur, lizard, raccoon and snake. 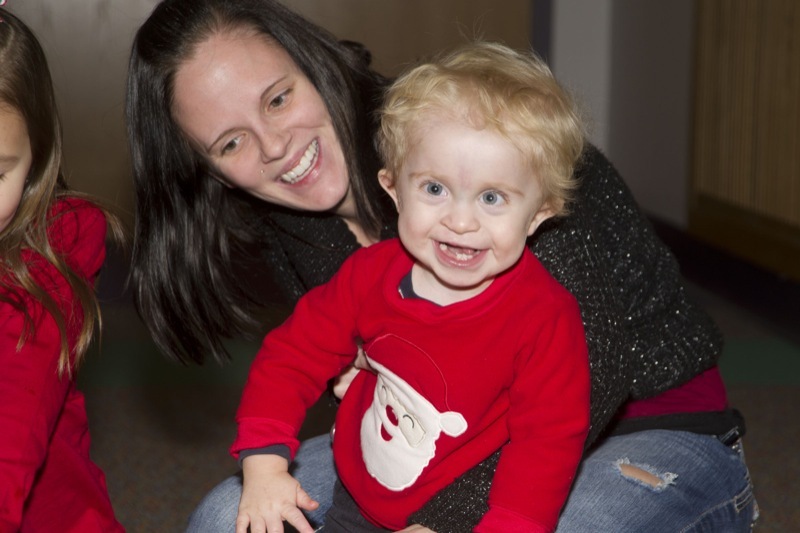 The clinic has held a holiday party for its patients for more than 20 years. In addition to the animal encounters, the children played games, made holiday crafts, got their faces painted and, with the help of teen volunteers from the Lake Community YMCA, wrote letters to Santa Claus. When Santa arrived, children got to hand him their letter and spend one-on-one time talking with him. 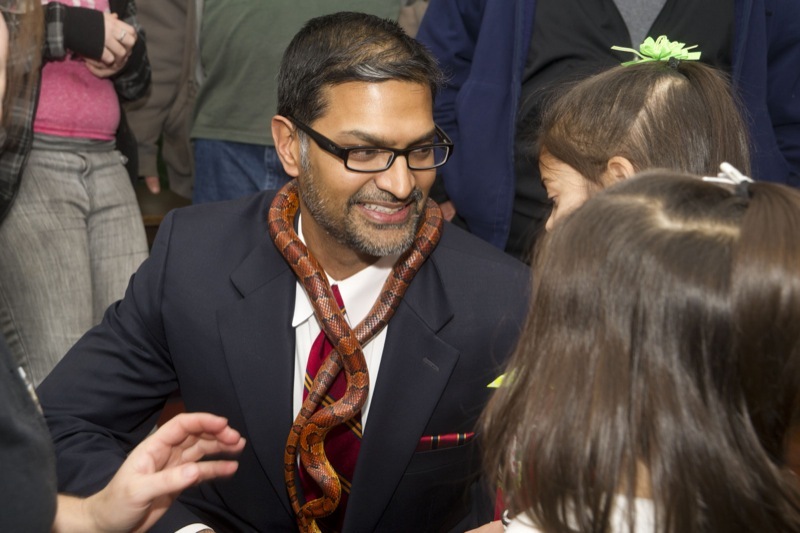 Dr. Ananth Murthy with a new friend. The craniofacial clinic team treats children with such conditions as cleft lip and palate and other skull and facial disorders. Each year the team cares from more than 500 patients – newborns through young adults. Next to Santa himself, the stars of the party were Drs. Ananth Murthy, James Lehman and Niyant Patel, the pediatric plastic and reconstructive surgeons who care for the children.